I urge all Brewer fans to tune in for his Friday August 13 game vs Jorge De La Rosa and the rest of the Rockies at 8:10pm Central Time. I will be tuning in at least for his first at-bat (and if he gets aboard safely, I’ll watch his next, and if he gets aboard safely, his next, etc). 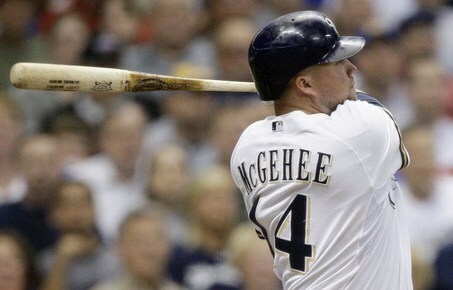 And even though I know I already jinxed him by posting on this topic… I am going to post one of the most famous baseball poems hoping it un-jinxes Casey McGehee.